There are places in the world that I have no particular longing to visit but which I love to read about. Rome is one of those places. For all the other cities and regions in Italy that I long to visit, Rome does not entice me. Milan, yes. Venice, absolutely. Rome, not so much. 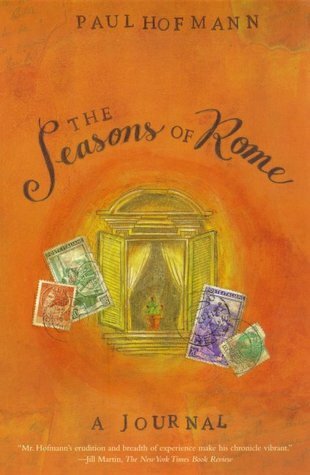 But I love reading about the city and so turned the pages of The Seasons of Rome by Paul Hofmann with delight. Austrian by birth, Hofmann (who died in 2008) spent decades living and working in Rome. By the time The Seasons of Rome was published in 1997, he had lived in the city for more than 30 years (including during the war) and the book reflects both his first-hand and his learned knowledge of the capital’s history. In these short journal-style entries, he is able to examine a year in modern Rome and see in it the echoes of its classical heritage as well as the more recent past. It is recognizably the work of a journalist. Hofmann was chief of the New York Times bureau in Rome for many years and his writing is factual and understated. He uses the first person but without gushing and emoting in the manner of many current columnists. Essentially, he reports. She is an unmarried woman in her thirties who ten years ago was hired as a computer operator by an administrative office in the pontifical state; meanwhile she appears to have risen to a quasi-executive position under the supervision of a high prelate. ..I remember her as a chubbily attractive, fashionably dressed blonde. Later I was told she lives in a nice apartment in a church-owned building not far from the Vatican, has a Filipina maid, and in August every year spends her vacations in Switzerland. Inevitably there is talk that she has a clerical friend. Innocent that I am, I was a little shocked by the idea of a “clerical friend”. But then I am rather surprised by the mention of modern-day mistresses in any context. If you trust what you read by Italian and Irish authors, a mistress seems to be an absolutely essential accessory even for modest businessmen in Catholic countries. Hofmann loves Rome and made his home there for many years but is far from blind to its faults. What was most fascinating for me were the pieces (and they are many) which discuss the difficulties of Roman life: the mail lady who comes maybe two or three times a week (as opposed to the promised 9 times); the disruptive and never-ending strikes by unions and students; the nepotism and cronyism among politicians; the pervasive influence of the mob; the racism experienced by Asian and African immigrants…the list goes on. But he is not negative, just truthful. There is never any doubt that Rome is a city he loves and through his eyes even I could see its appeal. I spent the weekend reading books off my own shelves, bouncing back and forth between High Wages by Dorothy Whipple and The Harold Nicolson Diaries: 1907-1964. While High Wages was undoubtedly my most successful Whipple encounter to date, the diaries were what delighted me most. 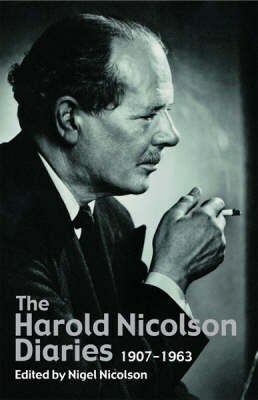 I had enjoyed what I had read of Nicolson’s diaries and letters in the past (he shows up frequently in history books focused on wartime Britain) so was looking forward to this but enjoyed it even more than I had expected to. Wouldn’t you love to have a grandfather who could write such letters? 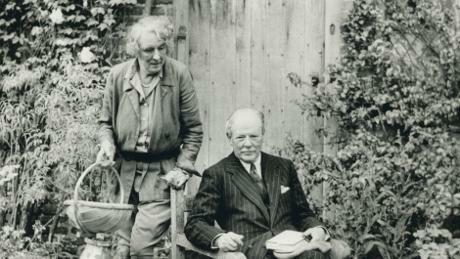 The importance of and thankfulness for a close-knit family is something Nicolson mentions throughout his life, whether he is thinking about his relationship with his parents, with his wife (Vita Sackville-West), or with his two sons and, eventually, their children. It was so nice to read an interview with Juliet Nicolson and hear how fondly she remembers him. I cannot remember the last book that made me cry as much as Two-Part Invention by Madeleine L’Engle and I mean that as the highest form of praise. Last month, Lisa posted a review of The Summer of the Great-Grandmother by Madeleine L’Engle, a book I had never heard of before. Like so many children, I grew up reading L’Engle’s children and young adult books but she was never one of my favourite authors. I liked A Wrinkle in Time, was bizarrely attached to Many Waters, and still keep my copies of A Ring of Endless Light and Troubling a Star on my bookshelf today but I never felt the urge as I did with other authors to find about more about L’Engle herself. So, until I read Lisa’s review, I had no idea that she had written quite a bit of non-fiction, mostly about faith, but also a set of four memoirs called the Crosswicks Journals, named after her family’s home in Connecticut. 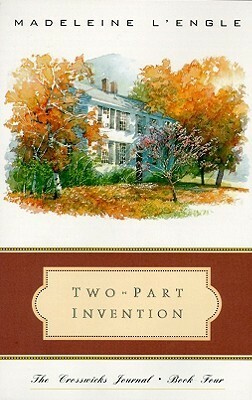 Two-Part Invention is the last of the four journals, published in 1988 but focused on the events of 1986, when L’Engle’s husband of forty years, the actor Hugh Franklin, was dying of bladder cancer. Diagnosed in the spring and dead by the end of September, his illness was intense and very difficult to read about. I always struggle to read about illness but this was especially tough, perhaps because the indignity of it felt so cruel, with one ailment piling on top of another and then another as his body weakened. And, of course, it is made that much more painful since we are witness to L’Engle’s thoughts as she is forced to watch this happen to the man she adores. The majority of the book is not about Franklin’s final illness but about his life with L’Engle: the subtitle of the book is “The Story of a Marriage”. L’Engle takes us back to her childhood in New York City and, later, in Europe, where the family moved in hopes of finding a climate better suited to her father’s lungs, damaged during the First World War. Later, there are her college years (now back in the States) and her early twenties in New York, where, after auditioning for Eva Le Gallienne, Margaret Webster and Joseph Schildkraut, she found herself hired as an understudy for a Broadway play. I loved reading about her years in the theatre, mostly because it is a world entirely foreign to me. She was never going to be a great actress – nor did she aspire to be – but she was an excellent observer and her stories about the other actors and their experiences on the road fascinated me. And it was in the theatre that she met Hugh and they began their courtship. That background takes up only the first hundred pages or so and I loved it. Then, moving on to the next section, I was in for a bit of a shock as L’Engle’s started talking about religion and its role in her life. Since it had barely been mentioned at all until then, I wasn’t quite prepared but then I never am when religion makes an appearance in any book or conversation. It has never been part of my life, nor have I ever been close to anyone even vaguely religious. I find it fascinating to read books by intelligent, thoughtful believers, which L’Engle certainly was, but it can make for very strange reading. For example, I am always momentarily taken-aback when I come across people asking others for prayers or when someone says they have considered a problem “prayerfully” (as their doctor did regarding Franklin’s treatment). It is a lovely and tender sentiment but it is utterly foreign to me and it took some time to get used to the casual frequency with which prayer is mentioned. But get used to it I did and, truly, I think this is one of the best perspectives on faith that I have ever read. Her faith played a major part in L’Engle’s life and it was interesting for me to see what comforted her and also how her experiences made her reflect on her relationship to God and with her religion. She is not pushy or preachy about her beliefs; this is simply her faith and it is what sustains her. I really don’t think she could have cared less about trying to convince any non-believers among her readers (which I, as an emphatic non-believer, appreciated). When she ponders questions of faith (as she does frequently), she does so for her benefit and understanding, not ours. It makes for a deeply personal book, especially since these reflections and so closely tied to her feelings about her husband’s illness and decline. Our love has been anything but perfect and anything but static. Inevitably there have been times when one of us has outrun the other and has had to wait patiently for the other to catch up. There have been times when we have misunderstood each other, demanded too much of each other, been insensitive to the other’s needs. I do not believe there is any marriage where this does not happen. The growth of love is not a straight line, but a series of hills and valleys. I suspect that in every good marriage there are times when love seems to be over. Sometimes these desert lines are simply the only way to the next oasis, which is far more lush and beautiful after the desert crossing than it could possibly have been without. 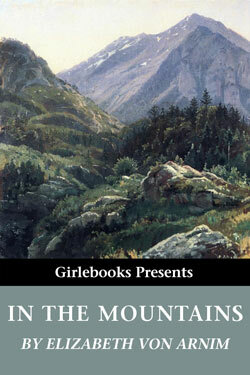 Throughout the book, L’Engle embraces all that life has to offer, both the joys and the pains. I was struck by the warmth and love that filled her life, obviously in her marriage but also in the close bonds she maintained with her three children and grandchildren, and her many friends and godchildren. She and Franklin seem to have had a gift for loving and accepting others and there was a real sense of tenderness in all their relationships, both the long term ones and even the short term ones with Franklin’s dedicated team of nurses and doctors. I was left with a longing to belong to the Franklin/L’Engle circle of friends – it sounds like a wonderful group to be part of and their marriage, rock solid but always evolving, was at the heart of it. When I finished reading the last diary entry in Storm Signals by Charles Ritchie, I was reluctant to put the book down. I have been a fan of Ritchie’s diaries since I was twelve years old and first discovered them on the shelf of my school library. I always enjoy any time I spend reading his books and never tire of rereading them. It is impossible not to grow attached to a diarist when you’ve followed him over the course of almost fifty years. He is wonderfully familiar to me; I know him as a reckless, enthusiastic youth, a sophisticated, heartless bachelor about town, an eager new ambassador, and a middle-aged veteran who is granted the very best postings. When I come to the end of the diaries, it is always difficult to say goodbye. Since last autumn, I’ve reread all four volumes of Ritchie’s diaries in chronological order. 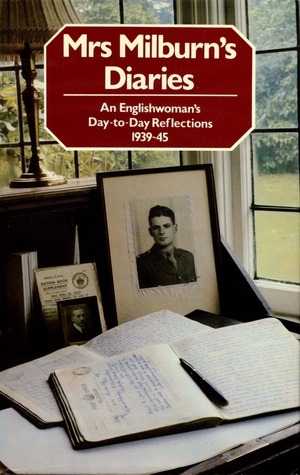 I started with An Appetite for Life, covering Ritchie’s late teens in Canada and England, moved on to The Siren Years, a record of Ritchie’s wartime experiences in London and easily one of my favourite books, and enjoyed Diplomatic Passport, chronicling Ritchie’s first years as a diplomatic representative (as opposed to staff member) in post-war Europe and America. 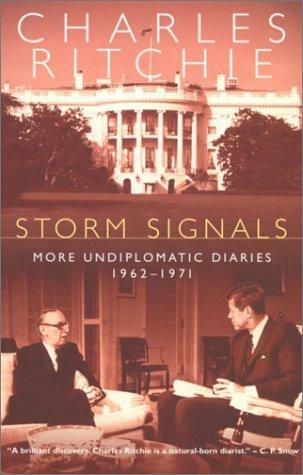 The final volume, Storm Signals, is a selection of Ritchie’s diaries between 1962 and 1971, during which time he served as Canadian ambassador to the United States before moving on to his final diplomatic posting, as Canadian High Commissioner in London. As usual, the focus of the diaries is more personal than professional. A reader looking for specific details about the business of the day would be disappointed. Ritchie records his impressions and opinions without ever dwelling on anything that could be considered sensitive information. For the general reader, this is more than enough detail. We learn what he thought of Presidents Kennedy and Johnson, of the political crises of the day, and of the tensions between the Canadian and American governments at the time that created a rather stressful working environment for Ritchie in Washington. Both presidents kept their distance from Ritchie because of disagreements between the two nations about major issues like nuclear weapons, economic sanctions for communist nations, and the war in Vietnam. I would just like to say how enjoyable I think either subject would be, though I can easily understand how in 1931 he was more drawn to the idea of studying in Paris than in going back to Cambridge. And, of course, there are Ritchie’s credentials as a reader. He is always reading, frequently something I have never heard of. His notes on reading remind me of Alberto Manguel, not because they read the same books (though there is some overlap) but there is something about the way both men approach reading and the way they both write about it that seems similar. How could I not be drawn to someone who says “I can’t go on reading Vanity Fair as I am bogged down among Amelia’s tender tears and rhapsodies and I will not skip to get back to Becky Sharp”? Or who finds Shakespeare’s plays so stirring that they hinder his recovery from illness: “I spent the afternoon recovering in bed. Read Antony and Cleopatra and became so moved and inflamed by it that I could not get to sleep at night.” Ritchie reacts to books like the best kind of reader. Though Ritchie’s relationship with Elizabeth Bowen was intense and long-lived, it is rather nice to read about his appreciation of his wife Sylvia in these entries. Though, it must be noted, he edited these diaries for publication himself and they are highly censored, holding back the most personal and potentially hurtful details about his affairs. Still, both his casual and more thoughtful comments about how much he loves Sylvia are very welcome. He seems to be almost surprised at his real affection for her and at how highly he values her company and misses her during her absences. Theirs was a pragmatic marriage but, at least from his viewpoint, a very successful one – quite surprising given Ritchie’s heartless promiscuity in his youth. As I finished reading, knowing that I had come to the end of Ritchie’s elegant and entertaining diaries once more, I felt the same way as I always do when I finish this cycle: thankful for Ritchie’s gifts as a diarist but frustrated that he did not publish more. Can I ever resist a volume of wartime diaries? No, not really, which is why I picked up Mrs Milburn’s Diaries: An Englishwoman’s Day-to-Day Reflections, 1939-1945 by Clara Milburn, edited by Peter Donnelly. I had come across it in history book a year or two ago and since then have seen other bloggers reference it, always enthusiastically. Because of that, I really did not expect to be so underwhelmed by this book. And yet I was. I was dreadfully bored before I was even half done and have to admit to skimming the remainder. Clara is dull. There are moments where we glimpse what Clara’s day-to-day life was like – discussions of gardening, Women’s Institute meetings, dentist appointments, and her husband’s ailments – but there aren’t really enough to build up a strong idea of how this woman spends her days, who her friends are, what she reads…all the cosy, personal details that make diary-reading so delightful. Mostly, she keeps very detailed records on the progress of the war, marking down the number of planes lost or ships sunk with the diligence of a war-mad adolescent boy. Clara has an accountant-like dedication to personally meaningless details. As a record of what the people were being told, I suppose this information is valuable, and it certainly does show how closely some people were following war reports, but it makes for very boring reading. Clara’s editorial comments are basically limited to ‘Hurrah!’ when things go well or ‘death to the Germans!’ when things go poorly. The Milburn household (Clara, husband Jack, and devoted servant Kate) delights every time one of Alan’s letters arrives and views all war news in terms of when it might mean Alan could come home. They write him faithfully and keep in close contact with the families whose sons are in the same POW camp, sharing news among themselves any time someone receives a letter. Mostly, they just miss him. Every Christmas is marked with longing, every birthday spent wondering if he’ll be home before the next. I found the details relating to Alan’s time as a POW fascinating, especially learning how he spent his time in the various camps and what sort of things his parents were able to send him through the Red Cross. When Alan does return in May 1945, when the phone call comes to say he was back in England and would be with them soon, I found myself crying. For Clara, the war was now truly over and she stopped the diary only a few days later; with Alan’s return the “bad years of war begin to fade a little” and “the house is one more a real home” (12 May 1945). As affecting as I found Clara’s devotion to her son, she never really grew on me. I did not feel antagonistic towards her (as I did with the excellent but seemingly rather mean diarist Nella Last) but I never came to respect her. Clara does not seem particularly intelligent and I was annoyed by her fervent patriotism. My lip curls whenever I come across sentimental tosh like ‘God bless Winnie!’ Clara, who never expresses a sentiment not already emblazoned on government propaganda, seems perfectly happy to follow the guidance of others without ever pausing to consider why she agrees with them. If there had been some evidence of this ability to reason, I could almost have respected her. But there wasn’t. I know there is always going to be a large portion of the population who will be happy to be told what to do and think (as long as the person doing the telling is skilful and Churchill certainly was that) but it also follows that such mindless sheep make for dull diarists. I know how fascinating ordinary lives can be in the hands of gifted diarist – but Clara Milburn did not particularly have that gift. She was a nice woman with a very ordinary life and very ordinary thoughts and a very ordinary way of expressing them. Still, if simply as a glimpse of how families handled the long, uncertain years while family members were in POW camps, this is worth a read.